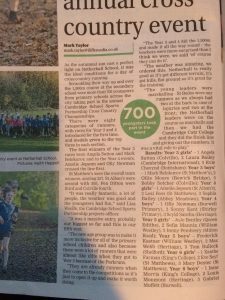 What a fantastic day it was yesterday for the annual Cambridge SSP cross country championships held at Netherhall School. Cold but no wind and the sun shone all afternoon. We extended the event this year to include races for Year 3 and 4 boys and girls as well as Year 5 and 6 boys and girls totaling 8 races. 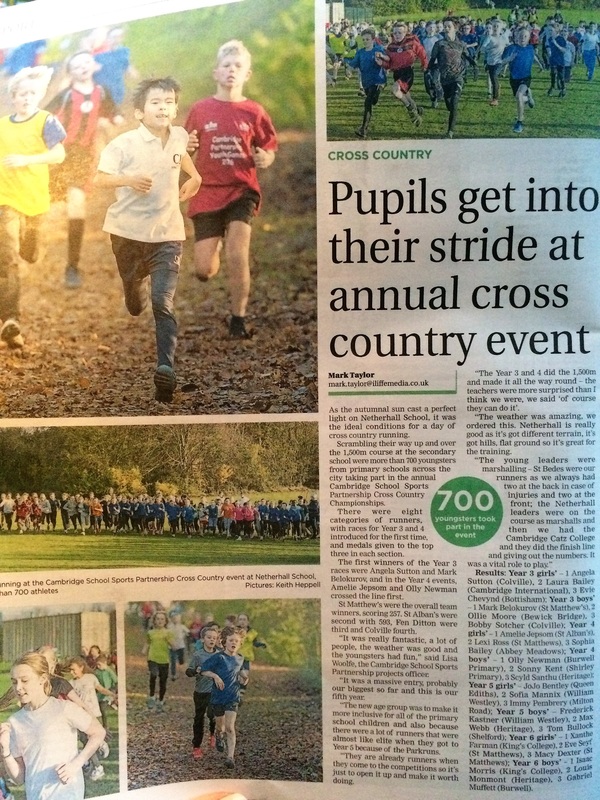 Over 700 children ran from 26 schools. The event was supported by sports leaders from St Bede’s School, CATS College and Netherhall School who paced the races, swept up the back runners, marshaled the course and managed the finishing tunnel. 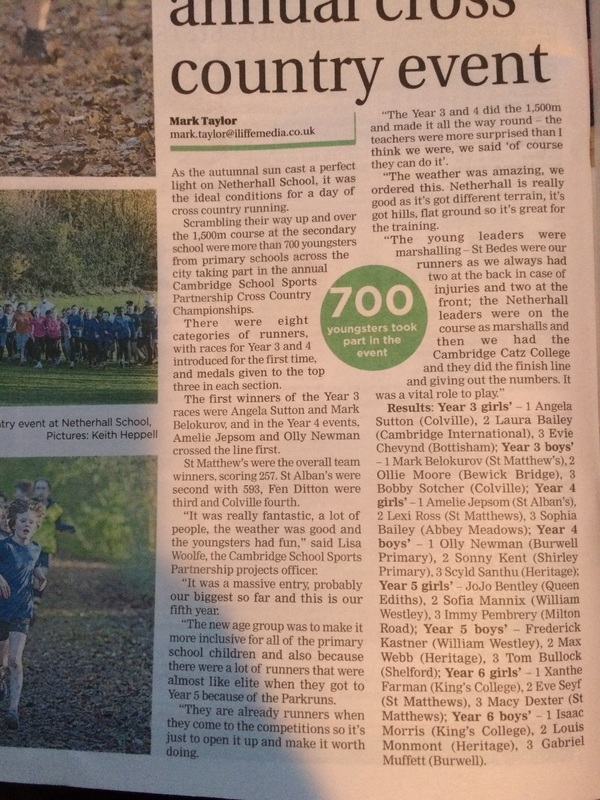 It was also lovely to see primary school sports council representatives, team managers and report writers attend the event as well as lots of spectators. Please see the attached spreadsheet for the first 3 individual winners who received medals at the closing ceremony, and the results for each race – there needed to be 3 runners from each school to qualify for the team events. Congratulations to St Matthew’s who retained the overall team trophy. Look out for the news report in the Cambridge Independent newspaper but in the meantime take a look at some of the photographs from the event on our Cambridge SSP Facebook page.